Q: How did AGC of America get started? A: By the end of World War I, there was a general move for industries to organize themselves via national associations. As part of that move, in the summer of 1918, the U.S. Chamber of Commerce attempted to organize a meeting of contractors. But the general contractors who attended the meeting in Atlantic City that summer felt that the meeting was over-represented by subcontractors. So, they organized their own meeting in the fall of 1918 in Chicago. During the Chicago meeting, a group of general contractors voted to establish the Associated General Contractors of America. After that, as part of our plan to grow, AGC incorporated several existing local and regional construction associations, which laid the foundation for our current chapter structure. 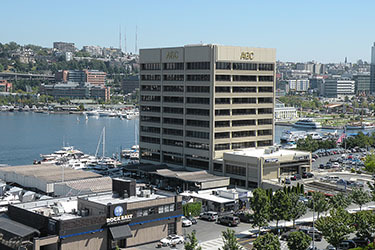 AGC of Washington has its own building on the southwestern shore of Lake Union in Seattle.